Spring is here for everyone in the Midwest and the weather is starting to turn to the warmer side. It is a great time to dust off the old bike and take her for a spin. With great scenery through out the Midwest, it makes for a great place to ride. Along the shores of a Great Lake or across the turnpike, there is always somewhere nice to ride in the Midwest. Weather-appropriate gear – You want to be prepared for whatever mother nature may throw at you. Emergency supplies – a first-aid kit and a list of personal contacts are always a good idea. 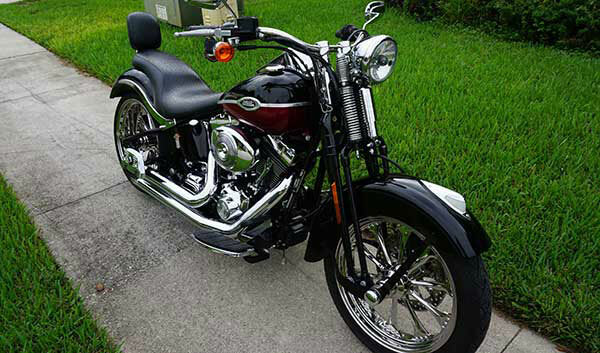 Install bag guards for a saddlebags – These can help prevent saddlebags from rubbing against tires. Trash bags – If your items are not water proof, by putting them in a trash bag it can help keep them stay dry. Preparing your bike is the next consideration, things such as proper tire inflation, tighten suspension, and taking your bike for a test ride are always good preparation for a long ride. After your ride, you may be considering trading i your bike. No matter if you are looking to trade in or sell your motorcycle, make Sell Us Your Bike your first choice! The whole process is really simple, just fill out our quote form, then we will respond with a great offer, once accepted, we will issue a check and arrange pick up of the motorcycle, that simple! Do not like forms? Then give us a call at 1-800-963-9216 and talk to us directly. For Florida residents researching the used motorcycle trade in Florida visit us at Sell My Motorcycle Online or how about all those California people? Visit Sell Motorcycles For Cash and see how much you can get for your used motorcycle!